First Alarm owns and operates its own Central Monitoring Station in Aptos, California. Our Central Monitoring Station has been certified by Underwriters Laboratories (U.L.) in accordance with the National Fire Protection Association (NFPA) requirements. Our Central Monitoring Station is visited on a regular basis by certified U.L. inspectors to ensure compliance with standards set for central station design and operations. Additionally, our Central Monitoring Station is certified by Factory Mutual (FM) and is in compliance with FM's high standards. As a 5-Diamond call center, First Alarm staffs trained and certified central station dispatchers. 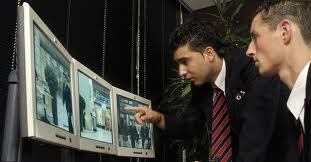 Our customer's are monitored 24 hours a day, 7 days a week, 365 days a year! Contact us today to learn how these Central Monitoring Station additions can benefit you!